I know!! Jamie McGuire is on my radar!! And, thank you! It’s still a work in progress but it’s coming along! Speaking of works in progress…how is your sequel coming? Any hints on when exactly we can expect it out? I am dying to read it!! Thanks so much for the update! I am going to post an update on my blog to let your fans know!! And in my opinion, that’s great news!! I am glad we get to hear from Emma, Graham and Reid not only once more, but twice!!! Sending prayers & positive reinforcements your way!! i am wanting to read this book but not on kindle any idea where to get it from im in the uk. 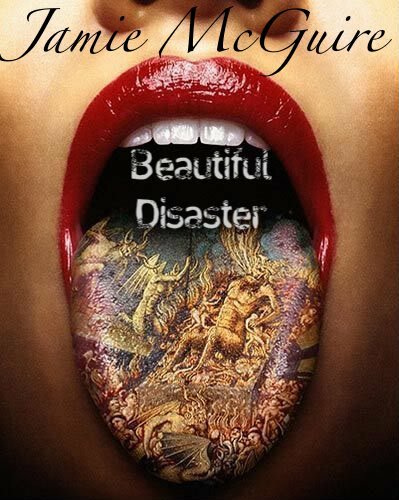 As far as I know, Beautiful Disaster in only available as an e-book. If you don’t have a Kindle you can still sign up for an Amazon Kindle user name and password and then either get the Kindle app on your cell phone (if its compatible) and read it on your phone, or you can purchase it on your pc from Amazon and read it from your computer. Sorry if that’s not a great help. I’ll let you know if I find out more. I have it in Kindle for my pc but really wanted it for my Elonex ereader, is there anywhere in the uk i can get it on any format other than kindle. Unfortunately no. Other than Amazon Kindle and Barnes & Noble (e-book only) I do not know of anywhere else you can purchase from. Sorry!